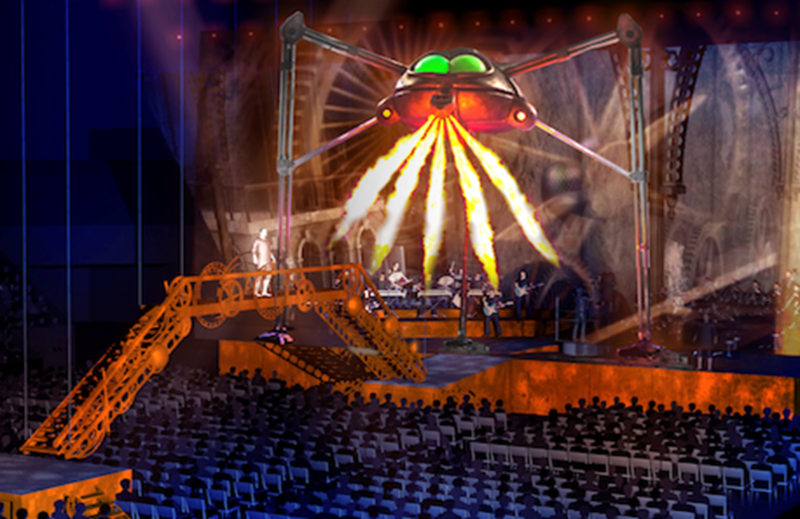 One of the most ground-breaking arena tours of all time, Jeff Wayne’s Musical Version of ‘The War of the Worlds’ – Alive on Stage is to make its return to arenas throughout the UK in 2018. Nearly 40 years on, based on HG Wells’ dark Victorian tale, Jeff Wayne’s Musical Version of The War of The Worlds remains a firm favourite to millions around the world. 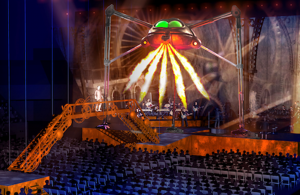 Commanding the stage, Jeff Wayne returns to the podium to conduct the 9-piece Black Smoke Band and 36-piece ULLAdubULLA strings, while Liam Neeson retains his role in 3D holography as The Journalist, with an exciting full cast to be announced soon. A 100-foot wide ‘Animation Wall’ with 2 hours of cutting edge CGI. Tickets go on sale at 9am on Friday 24 November priced at £51.52 and £75.60. Prices are listed with administration fee included. Tickets can be booked online at https://www.motorpointarenanottingham.com/online/war-of-the-worlds or via telephone on 0843 373 3000 or in person at the Motorpoint Arena Box Office, Bolero Square, The Lace Market, Nottingham, NG1 1LA. An exclusive venue pre-sale will take place from 9am on Thursday 23 November. Customers wishing to obtain priority tickets will need to sign up to the Motorpoint Arena Nottingham Mailing List by 23:59 on Wednesday 22 November – https://www.motorpointarenanottingham.com/online/createAccount.asp The pre-sale email will then be sent to new Mailing List subscribers on the morning of Thursday 23 November (before 9am). Current Mailing List subscribers will receive the pre-sale email today (20.11.17) and are asked to check their junk/spam folders if they cannot find the email. You can arrange transport to this event direct through Motorpoint Arena Nottingham. Book a discounted return journey for just £2 on the NET tram or £2.50 on NCT buses when booking your arena ticket. Click here for more information.